With vehicle detection technology and up to 65 lumens of illumination, the Varia RTL510 effortlessly integrates with the Garmin network of devices or on its own. 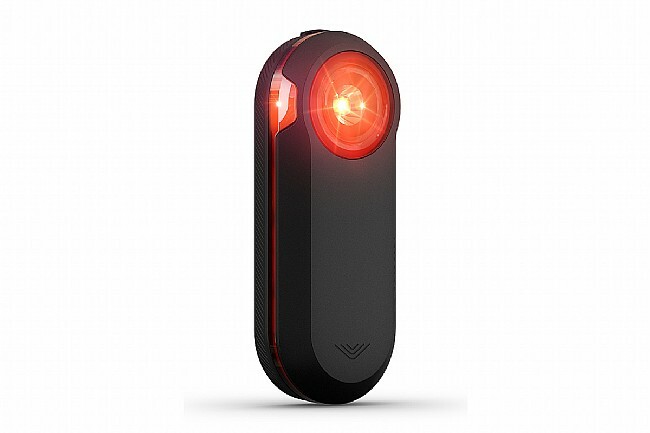 The Garmin Varia RTL510 Radar Rear Light allows you to ride smarter and more aware. Mounted neatly on the seatpost, the RTL510 provides alerts for vehicles approaching from behind up to 153 yards (140 meters) away. Plus, the bright tail light is visible in daylight from up to a mile away, allowing riders to see and be seen, day or night. Visible from up to a mile away with up to 65 lumens. I hadn't considered this until I had trouble with cars on faster descents. The RADAR works just as I expected, and gives me enough warning time to look ahead on the road and choose where to bike, and to turn and take a look behind me. This is what I wanted, a reliable device that told when to look. 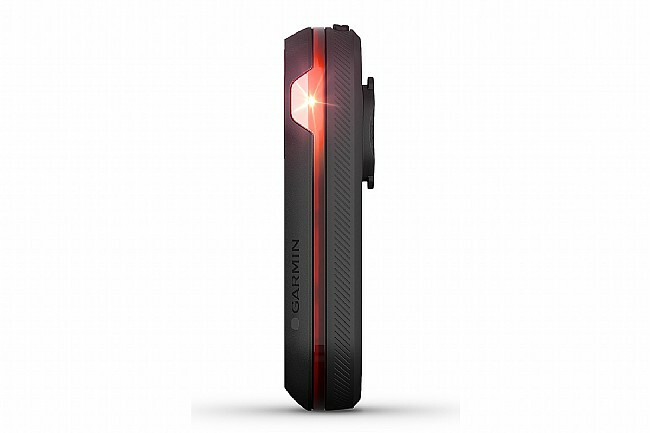 I'd recommend this rear light for anyone. Solid Improvement on the original Varia! As an owner of the original Varia, my only real complaint was battery life. Version 2 has fixed that. The original was good for 4-4.5 hrs, I have yet to come even close to draining the battery on my new model. Might be a tad heavier (I haven't weighed it) but well worth the tradeoff! Likes the included mount fits on my pinarello aero seat post. It's fairly small but still very bright. It changes flash patterns and intensity when cars approach. It works seamlessly with my garmin 520 head unit. I ride with a small mirror on my glasses but this gives me MUCH earlier warning for approaching cars (and I'm not always staring at my mirror either). The radar works fabulously on smaller, more lightly traveled roads where you may not hear a car till the last minute. I find the display very easy to interpret. The form factor of the this model varia is nicer sleeker than the original model and works just as well. Overall I now consider this to be an essential part of my daily riding gear. The 2nd generation Varia has a longer battery life, and is more visible to drivers both daytime and nighttime. The Varia 2 is an excellent improvement over an already great product. I bike commute to work all year around weather permitting, and with short day light hours Nov-Feb, having the rear radar to alert me to traffic as well as provide a highly visible tail light makes this an accessory I never leave home without. Great safety gaget and works well with my Garmin Edge 100 and my Fenix 5. I use it on my Road and Gravel bike. It really helps given I am hard of hearing to give me early warnings of approaching cars. The Fenix 5 is also paired and it vibrates which is a great alert when I am not looking at my Edge. Also it last a really long time for 100 mile rides. The light is much brighter than the older rectangle model making this a much better product in general. No need to run a second light now. The radar works flawlessly and seems a bit more sensitive than the old one as well. I did like the way the old one gave you a charge level indicator at start up but that is the only flaw in the new one. Riding with the RTL510 gives me better situational awareness. I feel safer while riding with it. Wonderful product!!! Takes the fear out of moving from the shoulder into the road when there are hazards. Always know whats behind you. I bought this to help when commuting. I know I could have bought a mirror but tech is so cool. Also helps when doing fast long descents I can glance to see if cars are behind me. Works GREAT! But I wish it had a longer range. For years, I have ridden with a large mirror on my road bike. It has worked fine unless the sun was low behind me or the mirror fogged. In those situations, the mirror was useless. But in those situations (and all others), the Varia works great! Once a vehicle comes within range, you get an audible beep and the blip shows up on your Garmin. Very dependable. It picks up every vehicle. Relative speed and distance is very accurate. So . . . why not five stars? Three minor nits 1. It occasionally gives you false positives. One cyclist I ride with triggers it as if he were a car - but just one. Nobody else. 2. I wish the light were brighter. 3. I wish the range were 1.5 to 2 times as far as it is. On roads with a 50 mph speed limit or above, by the time the Varia alerts you of the car's presence, it is upon you. I would just like to receive a few seconds more notice. I had the original Varia Radar taillight and thought it was a great idea. I ride on rural roads that have high speed limits so I only get 5-6 seconds of warning before a vehicle is on me. So knowing what is approaching from behind dynamically is a huge advantage in safety for me. The Original Varia Radar was great but it had three serious failings First, the taillight was all but useless and was far too low in power. Second, the form factor was all wrong with it being oriented horizontally and tending to interfere with my legs unless it was positioned perfectly. This unit fixes both of those problems. The Taillight is BRIGHT and works great as a daylight flasher. You can see if from a mile away and, as a driver, your eye is drawn to it. The form factor is vertical which solves the leg interference problem. So that's all good. Third, the head unit (available as a bundle) now includes a beeper so you get an audio warning of an approaching target as well. The only reason I gave it 4 stars for value is that you really should buy the total package of a head unit plus the taillight. Garmin won't sell the head unit separately and should. I already had the first generation Varia radar but am very glad I upgraded. The light is significantly brighter and battery lasts much longer. If you don't have a Varia but already have a Garmin that works with it, this is an absolute must purchase. You immediately understand the value after you ride with it for a bit and then for some reason ride without it. Suddenly you feel very different and frankly much less safe without having the Varia alert you to traffic coming up behind you. Has paid for itself in the first bike ride. Will enjoy having a little extra warning on the longer bike rides. I agree with most of the other reviews. It's a great product that works really well. See DC Rainmaker's review to find out more. I completely agree with his assessment. You can pair it with more than one Garmin at a time. I am using a 520 and my friend has a 520 and it worked on both units at the same time. He got the alerts for cars as soon as I did. I will try more when I get the chance. In a group paceline of 3 or more, it has some trouble seeing around the cyclists behind you, but once it acquires the car is usually stays locked on. It also will take a little battery off your head unit. On a 77 mile ride I noticed about a 10% extra battery drop on my 520. But still had plenty in the 520 and the Tail light after I was done. The light is very bright. Is it the brightest out there? No. My light before this was the excellent Planet Bike Super Flash Turbo. This easily outshines that. Plenty visible on a sunny day. Garmin does make a clamp style mount that you can by from them or on Amazon. Works great and a lot more secure, although I've never had it fall off with the regular mount. It's bright and when paired with a Garmin computer Perfection. I have upgraded to the RTL510 from the Garmin Varia Rearview Radar Tail Light. It's much brighter during the day and the battery lasts longer. 15 hours in blinking mode. If you have ever missed seeing a car or motorcycle this is a perfect extra set of eyes. It always detects vehicles. MUST HAVE FOR ROAD CYCLING. A wonderful device that keeps you from being surprised from unseen autos or ones that you dont hear. It makes riding less stressful because you dont have to constantly turn your head looking for autos. 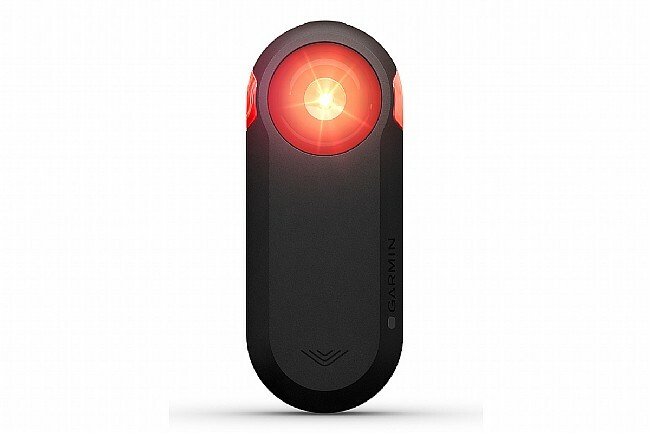 The bright flashing read light is also a wonderful safety feature. I figure if I was going to have a flashing light anyway, it might as well have radar to detect autos. Great Technology. would not ride without it! A marked advance for safety. Highly recommended. Got this with the goal of keeping better track of cars during rides, particularly when riding double. Read generally good reviews about its function. Was easy to install, seems adequately secure, using it with a Garmin Edge 820. Works as advertised - registers vehicles (and sometimes cyclists) approaching from the rear with a beep and a dot on a bar on the right side of the GPS. Shows progress of cars toward me to give an idea of how quickly to adjust riding location, if necessary. Light works adequately - not as bright as the previous light I used, but seems adequate. Used up battery quicker on the 820 - got down to 20% on a 4.5 hour ride. If radar is turned on before the GPS, the radar did not register as present. I'll keep using it, except for longer rides (because of the battery use) - helpful to know when to get to single-file during a group ride. Battery life is much longer. Works great.